Over the last few years, solar cell manufacturers have strived to improve energy conversion efficiency at a lower cost. Optimizing the metal electrodes firing process in furnaces is a common way to achieve this goal. This was overlooked in the past. 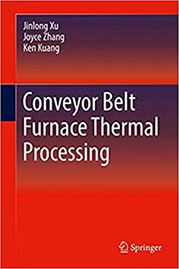 Most of the time, such thermal process work was done mainly by experienced engineers without much in-depth engineering study and development. This article will introduce a method of profiling and optimizing furnace setpoints in the Crystalline Silicon Solar Cell manufacturing process using SUNKIC, in order to achieve optimal results for a stable and high solar energy conversion at Topsolar's factory in Suzhou, China. Read the full white paper in THT's new book! It's available on Amazon.com in hardcover or Kindle versions, or through Springer.com.